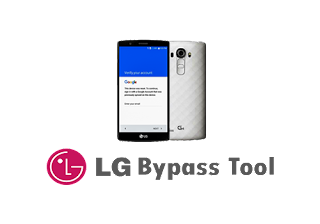 How to Bypass LG Google Verification Account ? 1. 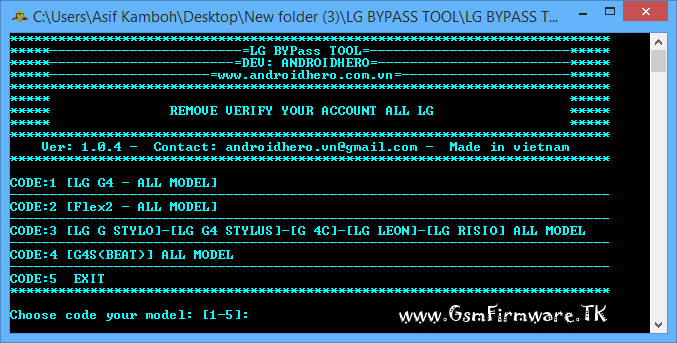 Extract the "LG Bypass Tool v1.0.4" Tool. 2. Open "LG BYPASS TOOL VER 1.0.4(x86)" File. 3. Turn off the Phone.Then press and hold the volume up button, and while you're doing that connect the USB cable with your PC. 4. Select your Mobile Code like "LG G4" Code:1. 5. 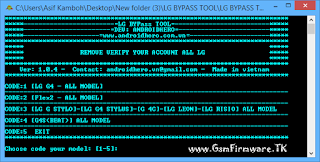 LG Google account bypass process complete in seconds,Done.Enjoy..!! !